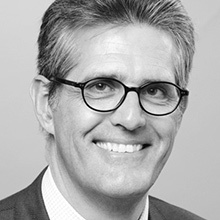 Olivier is General Manager of Visiomed Group and CEO of Bewell Connect Corp, its US subsidiary, based in Boston. Visiomed Group is a French company which has developed under the BewellConnect brand a full range of medical devices connected to one single app. This app is a personal health assistant that includes artificial intelligence to perform a first triage prior to patients connecting virtually to a real doctor. Olivier has been with the company since 2009 initially as a director and then as a manager since 2015. Prior to his current position, Olivier was a venture investor for 14 years, investing in tech companies. He was an early investor in Vistaprint and Photobox which both became worldwide leaders in their respective fields. From 1981 to 1998, Olivier was asuccessful banker in Paris and London, and managed small industrial companies in the automotive field.